On Tuesday, April 10, the College of Arts and Sciences hosted its third annual Spring Recognition Ceremony, honoring the recipients of all endowed college awards and college-wide awards for teaching and mentoring in the Arts and Sciences. "At this ceremony, we celebrate our own for their commitment to excellence in inspiring our students to learn through innovative and inspiring teaching; in building an inclusive and connected academic community; and in using our diverse expertise to increase knowledge and solve problems on campus and beyond," said David Manderscheid, executive dean and vice provost. "These commitments are shared by every single faculty member in our college — it’s in part what makes us great." The following award recipients were recognized at the April 10 ceremony. This award recognizes a faculty member in the Department of English and a faculty member in the Department of History for teaching excellence. 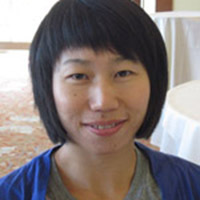 Ying Zhang, associate professor of history, is a bold and energetic innovator in the classroom, deploying an extraordinary array of pedagogical techniques in her efforts to encourage students to explore pre-modern East Asian history with curiosity, confidence, and independent thinking. Among other resources, she employs Vuvox, an online program that allows students to present their research in visual form, integrating text and images in the presentation of their historical arguments. Professor Zhang goes far above and beyond the norm as a mentor not only inside the classroom but after class as well, making herself readily available to students when they have questions about reading, writing, and career planning. 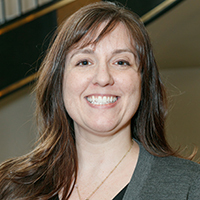 Christa Teston, associate professor of English, has also brought innovative thinking to the classroom. Comments by students at all levels of the curriculum mention the usefulness of what they learned, as well as the generosity and enthusiasm she shows in supporting their learning. 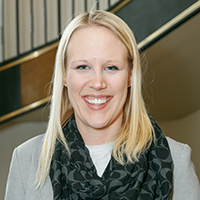 She has had great success in helping students make connections between their academic study of rhetoric and its real-world applications in business, community service, and activism. Professor Teston's innovative Textbook Affordability projects seek to reduce textbook costs for students by creating a sort of “living textbook” that uses existing open-source resources and customized content. This award recognizes a member of the humanities faculty who best exemplifies excellence as a teacher of undergraduates. The nominee's performance as a mentor or advisor and use of innovative teaching strategies for the advancement of learning is also considered. 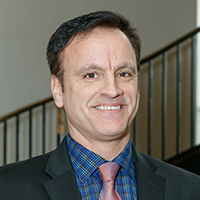 Christian Kleinbub, associate professor of history of art, has an enthusiasm for the arts of the Italian Renaissance that is evident to everyone who has spent any amount of time in his classroom. He is known as an engaging lecturer and as someone who models what it means to be visually literate, in a manner that the students find accessible and within their own reach. His students repeatedly describe him as a teacher with vast knowledge who also does a tremendous job of explaining things to those new to art history. He also shows an exemplary commitment to his students outside the classroom, mentoring them for graduate school or whatever path their future holds. This award pays particular recognition to, but not limited to, female faculty members in the humanities who are at the rank of assistant or associate professor. 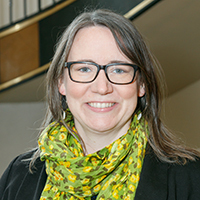 Molly Farrell, associate professor of English, will use her award to support the completion of her second book, New World Calculation: The Making of Numbers in Colonial America. Her book investigates mathematics as a form of humanistic inquiry and personal expression and will be the first literary critical monograph exploring numeracy in colonial America. Professor Farrell’s award will allow her to travel to research libraries around the country, examining historical documents key for her book’s completion. These awards recognize first-rate scholarship for individuals not already so recognized by virtue of being an Eminent Scholar, holder of a chair, a Distinguished University Professor or a Distinguished Scholar. No more than three fellowships are awarded each year to full professors. Theodore Beauchaine, professor of psychology, is a clinical psychologist who has helped advance our understanding of the development of psychiatric disorders in children. He has a particular interest in neurobiological vulnerabilities that influence children’s behavioral impulsivity and intentional self-injury. 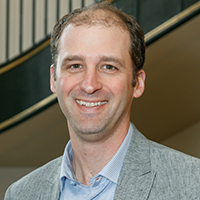 Professor Beauchaine has made major theoretical and empirical contributions to psychological science that have been recognized by his peers through prestigious early- and mid-career awards from the American Psychological Association. Sarah Brooks, professor of political science, is best known as an expert on comparative and international political economy. She has particular interests in Latin American politics and social protection and has also received a Fulbright Scholar grant to conduct research in South Africa. She is currently bringing these interests together through a multi-year survey of the effects of economic risk and violence on political behavior in Brazil and South Africa. 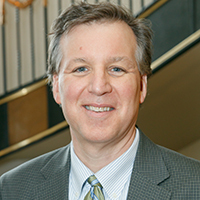 Ryan King, professor of sociology, is an expert on fairness in the administration of justice and the perpetration and prosecution of hate crimes, topics of fundamental importance in the national discourse about crime and justice. His research is theoretically insightful and empirically rigorous, and we can better predict when hate crimes will happen and why racial disparities in criminal sentencing exist because of his work. This award recognizes a faculty member, regular staff member or student for outstanding mentoring to and/or leadership on behalf of women or other historically underrepresented groups at the university. 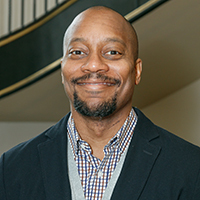 Daniel Rivers, associate professor of history, has tirelessly and consistently committed himself to ensuring the inclusivity of the campus community and promoting diversity in university policies. He has worked in particular to support students of color and LGBTQ students, both within and outside of his department. As coordinator of the American Indian Studies Program, he has worked to promote awareness of the history of American Indians in Ohio and to support broader campus-wide initiatives in the mentoring of native students. 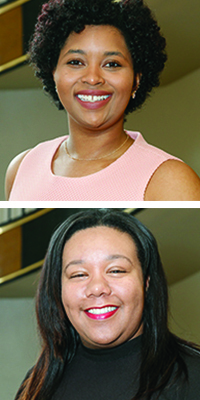 Devin Swiner and Sierra Jackson, graduate students from the Department of Chemistry and Biochemistry, are receiving this award for their revitalization of the local chapter of the National Organization for the Professional Advancement of Black Chemists and Chemical Engineers. Devin and Sierra have actively increased the role and engagement of this organization in our community through service and outreach. They have also established a peer-to-peer mentoring program that will significantly improve the chemistry department’s ability to attract and retain PhD students, especially benefiting those from groups historically underrepresented in the chemical sciences. This award recognizes excellence in honors advising, honors instruction, honors committee work and other honors initiatives and responsibilities which have enhanced the quality of education to honors students in the liberal arts. Hollie Nyseth Brehm, assistant professor of sociology, has made significant contributions to our honors education by advising honors theses, providing in-depth research experiences for undergraduate honors students in the U.S. and abroad, supervising the Social and Behavioral Science Eminence Fellows, and advising several campus organizations led by honors students. She is an avid supporter of undergraduate research, going above and beyond to create in-depth learning experiences for her honors students. Professor Brehm is also involved in furthering honors’ students’ experiences outside of the university setting, helping them find internships and experiential learning opportunities with embassies, local refugee resettlement agencies, and human rights-related nonprofits across the globe. This award recognizes excellence in teaching is recognized in the College of Arts and Sciences to faculty member. The award is administered and presented by the Arts and Sciences Student Council. Deanna Grimstead, assistant professor of anthropology, is a geochemical zooarchaeologist, theoretically grounded in evolutionary ecology. Her research focuses on environmental adaptations and regional economic systems within prehistoric communities in Western North America. This research broadly addresses resource use, procurement, and organization within subsistence and non-subsistence artifact classes. Grimstead is specifically interested in understanding how the dynamic relationship between human populations, animal populations, environment, and climate affect human behavior and society through time. This integrative ecosystem approach provides me the opportunity to study changes in subsistence strategies, the development of regional procurement systems, the adoption of domestication, technological innovation, regional abandonment, and human behavioral adaptations. This award recognizes a College of Arts and Sciences graduate associate for excellence in teaching. The award is administered and presented by the Arts and Sciences Student Council. 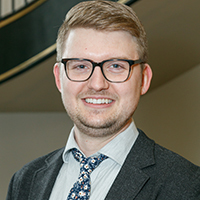 Chad Iwertz is a PhD candidate in Rhetoric, Composition and Literacy in the Department of English. His research focuses on the intersections of disability studies and digital media studies and on the framing of disability in technologies of access and accommodation, accessibility in composition classrooms and mētis, the rhetorical concept of embodied wisdom and cunning. 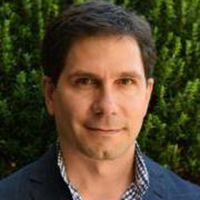 For his dissertation, Iwertz is studying the composing habits and practices of CART (communication access realtime translation) transcribers and the access epistemology of meaning-for-meaning transcription. This award recognizes the outstanding accomplishments of any faculty member or team of faculty members in the college whose research, teaching and/or service/outreach activities promote diversity and support a culture that embraces and exhibits inclusive excellence, community and openness. This year, the college honored three faculty for this award. Hasan Kwame Jeffries, associate professor of history, teaches courses in African American history and about the complicated and contradictory political history of America. His goal is to open students’ minds. At the graduate level, he has been a vociferous advocate for racial and ethnic diversity and equity in the history department’s graduate program. 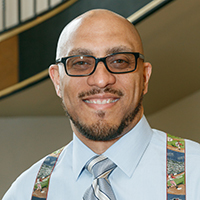 He is also committed to outreach and engagement, having lectured and facilitated discussion locally and across the state about African American history, racial diversity, and equity and inequality, with a particular interest in outreach to K-12 teachers and the problem of teaching difficult history. Through his research, teaching, and service, he promotes and enhances our commitment to diversity in the college, the university, the profession, and the community. Zakee Sabree, associate professor of evolution, ecology and organismal biology, was recognized his work on two initiatives designed to bring underrepresented students to the university. The first is the Faculty Outreach, Recruitment and Collaboration (FORC) Program, which supports sending scientists in the college to travel to institutions that serve underrepresented groups to give talks and meet undergraduates. The second is the Howard-Ohio State Undergraduate Summer Experience, or HOUSE, which uses National Science Foundation funding to support Howard University undergraduates in Professor Sabree’s lab. Through these and other activities, Professor Sabree has promoted the inclusion of under-represented groups within scientific fields. 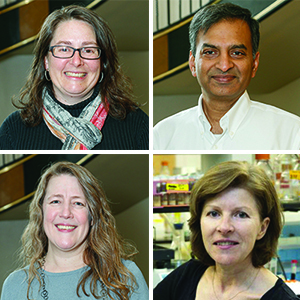 A team of faculty members in the sciences were selected for their program entitled “Research Opportunities in Molecular Biology at The Ohio State University.” Professors Jane Jackman and Venkat Gopalan from the Department of Chemistry and Biochemistry, and Professors Susan Cole and Amanda Simcox from the Department of Molecular Genetics, were selected for their exceptional initiative and leadership in establishing a National Science Foundation Research Experiences for Undergraduates (NSF REU) program. For over a decade now, this program has significantly increased learning, research and career-advancement opportunities primarily for students from groups traditionally underrepresented in the natural sciences (including women, minorities, and students with disabilities) For many students, this REU program has reaffirmed their decision to continue on the research path in graduate school and provided them with additional tools and an increased confidence in their ability to succeed. This award recognizes a full professor who has a truly exceptional record in teaching, research and service. The award was established with gifts from Mrs. Anne Hatcher and her family, in honor and memory of Dr. Harlan Hatcher, an alumnus and former dean of Arts and Sciences at The Ohio State University. 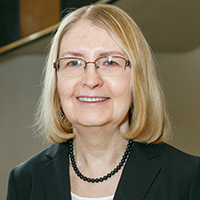 Jill Bystydzienski's, professor of women’s, gender and sexuality studies, service record at Ohio State includes her two terms as chair of her department and leadership of Center for Slavic and East European Studies. She served these administrative roles while continuing her research international women’s movements, making substantial contributions to Ohio State’s National Science Foundation ADVANCE grant, which seeks to promote women in science beginning her research in STEMM fields, and maintaining her leadership at the national level in women’s studies. 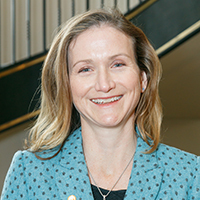 At the university, she has served on the Council on Academic Affairs and chaired the President’s and Provost’s Council on Women, among other committees. 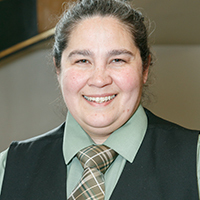 As someone who has tied her research on gender and diversity in the STEMM fields into programming initiatives and curricular development, she provides a strong example of a professor who has combined her research, teaching, and service into a powerful trajectory for the benefit of students and faculty at Ohio State and beyond. Scott McGraw, professor of anthropology, teaches courses on primates and physical anthropology, and students comment on his ability to maintain a relaxed yet challenging classroom and learning environment. He is also a dedicated graduate and undergraduate honors mentor. 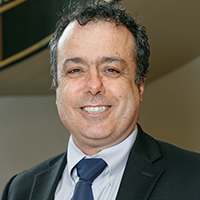 He has served for more than a decade as the undergraduate academic advisor in his department and has chaired its undergraduate studies committee. He has also served on the college curriculum committee and the Board of Regents panel for articulation and transfer, signaling his ongoing commitment to all aspects of undergraduate education. In research, Professor McGraw and his students work both in the field and in the lab. At his primary research site in West Africa, he has played a crucial role in conservation efforts with the goal of saving the endangered monkeys. In short, he has had an impact on his students, in his profession, and on the world.